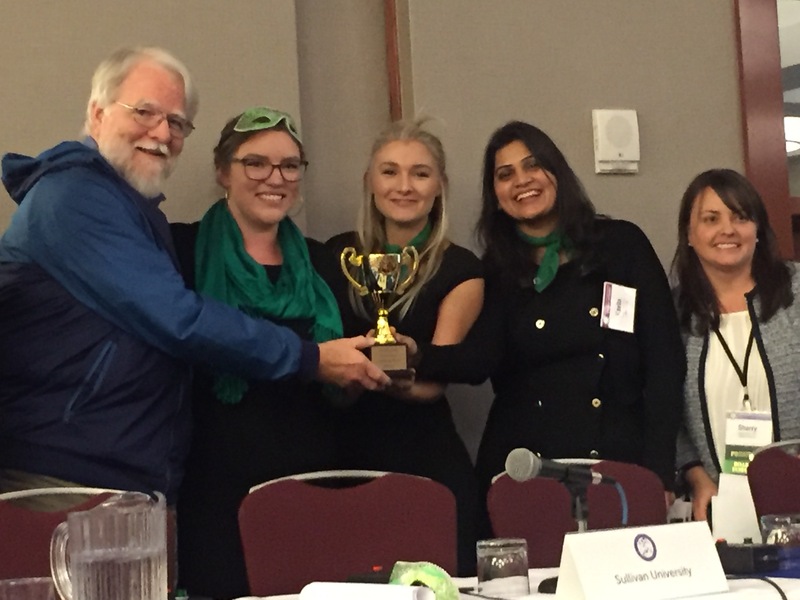 LOUISVILLE – For the first time in school history, a team from Sullivan University’s Physician Assistant Program has won the Kentucky Academy of Physician Assistants (KAPA) Challenge Bowl competition. The three-student team – one of three competing on behalf of Sullivan University’s three-year-old Physician Assistant Program – won the challenge bowl during the KAPA’s 41st Annual CME Symposium, which was held Nov. 2-4 in Lexington. Members of the winning team were: Natalie Duffy of New Albany, IN; Brittney Branham of Sidney, KY; and Kavita Lahano of Louisville, KY. In a post on it’s Facebook page, KAPA congratulated the Sullivan University team. In the competition, students are asked questions from the review books that graduates use to prepare for the Physician Assistant National Certification Exam. 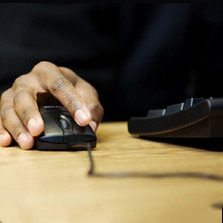 Teams are awarded points for correct answers, and points are taken away for incorrect answers. Similar to a game show, students hit a buzzer to be called on to answer questions. “There were some tough questions, so I am proud of the students for putting themselves out there in the competition and doing such a great job under pressure representing Sullivan University,” Gaskins said. Physician assistants – commonly referred to as PAs – practice medicine as part of a team with the supervision of physicians. They are formally educated as generalists who examine patients, diagnose injuries and illnesses, and provide treatment. 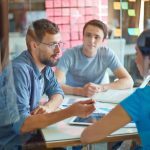 Students prepare for a professional role as clinicians with an emphasis on care in the primary care setting and preventive health care, as well as acute and chronic disease management. 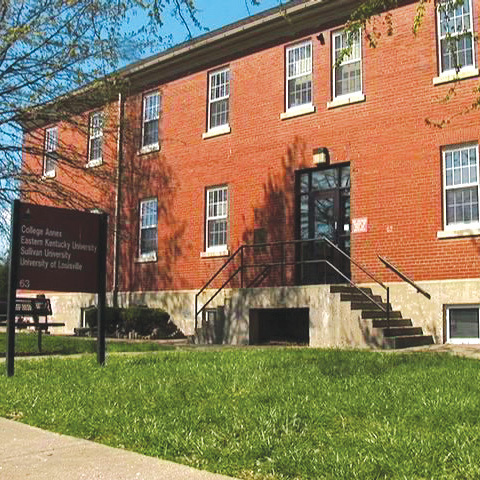 Sullivan University launched its Physician Assistant Program in 2014. According to the United States Department of Labor Bureau of Labor Statistics, employment of physician assistants is projected to grow 38 percent from 2012 to 2022, much faster than the average for all occupations. 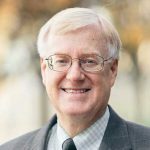 Increased demand for healthcare services from the growing and aging population and widespread chronic disease, combined with a shortage of physicians, will result in increased demand for healthcare providers, such as physician assistants. Media note Cutline left to right: Steven Gaskins, program director, Sullivan University PA Program; Sherry Grace, KAPA President and Director of Clinical Education at Sullivan University; students Natalie Duffy of New Albany, IN; Brittney Branham of Sidney, KY: and Kavita Lohano of Louisville. 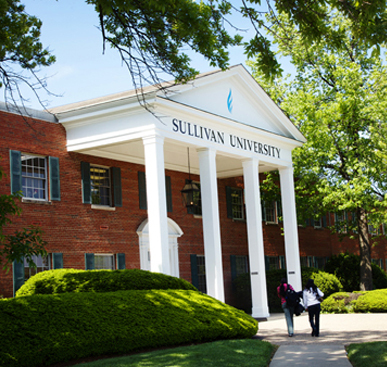 Sullivan University is accredited by the Southern Association of Colleges and Schools Commission on Colleges to award Associate, Bachelor’s, Master’s, and Doctoral degrees. 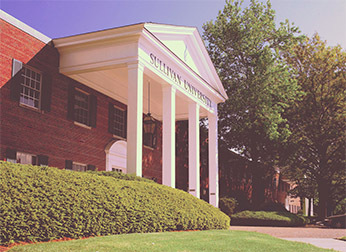 Contact the Commission on Colleges at 1866 Southern Lane, Decatur, Georgia 30033-4097 or call 404-679-4500 for questions about the accreditation of Sullivan University. 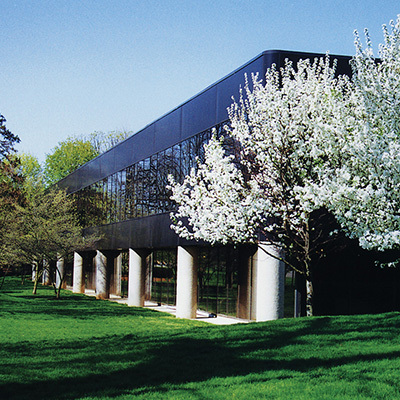 The University offers numerous certificates, diplomas, and degrees in career-orientated programs, ranging from business, pharmacy, human resources, technology, supply-chain management, culinary and baking and pastry arts, hospitality studies, conflict management, nursing, allied health sciences and legal studies. 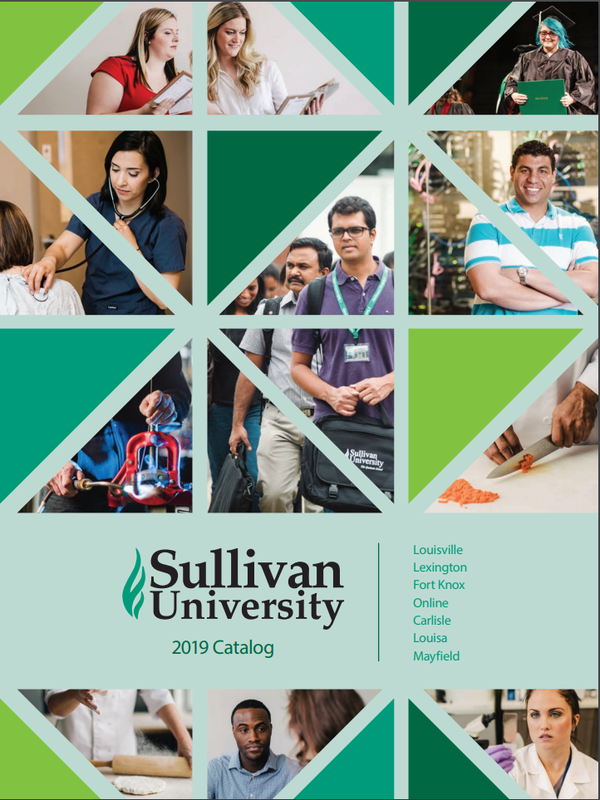 Sullivan University is a part of the Sullivan University System, which includes Kentucky campuses in Louisville and Lexington, an extension in Fort Knox, and The Sullivan University Centers for Learning in Northern Kentucky and Louisa, as well as an online division.